Ninety-nine percent of Russia’s intercontinental ballistic missile launchers are combat-capable, while 96 percent are ready to be used on short notice, ensuring an efficient strategic deterrent, Defense Minister Sergey Shoigu told MPs. “The intercontinental ballistic missiles launchers are being maintained in a way that allows to ensure a nuclear deterrent,” Shoigu told Russian MPs at a State Duma session on Wednesday. “Ninety-nine percent of the launchers used by the Strategic Missile Forces are combat-capable, and 96 percent of them are permanently ready for immediate use,” Shoigu said. Russia’s Strategic Missile Forces – the backbone of the country’s defense capabilities – are currently part of a massive rearmament and modernization program, the minister said. 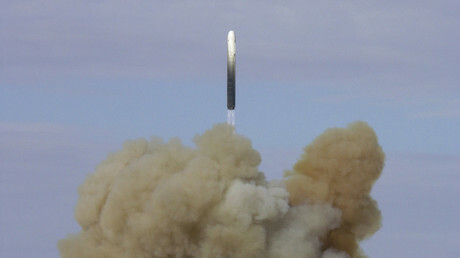 The military has received 41 upgraded ballistic missiles, one Borei class fourth-generation nuclear-powered submarine, the ‘Vladimir Monomakh’, and four modernized Tu-160 and Tu-95MS strategic bombers. 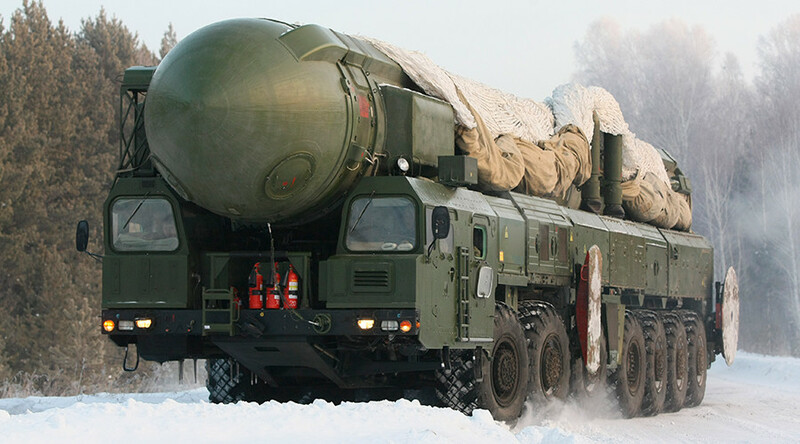 “Sixty percent of weaponry in all of our nuclear triad is modern, as well as 62 percent of weaponry in the Strategic Missile Forces,” Shoigu added. By the end of 2017, all Russian ground troop units will be equipped with cutting-edge Iskander-M mobile short-range ballistic missile systems, which will replace the ageing Tochka-U systems, the defense minister said. “In addition, all new early-warning radar systems will become operational this year, so that the entire country is protected against missiles of all types, including ballistic missiles,” he stated. The Russian Army’s modernization program is underway at the same time as the US is proceeding with a buildup in missile defenses in Eastern and Southern Europe. In May 2016, the US switched on a missile defense shield in Romania. A similar missile shield site is expected to come online in Poland in 2018. While American officials continue to argue the missile defense installations are directed against Iran, Moscow maintains that Tehran’s ballistic missiles are technically unable to reach the US. Moscow also argues that the missile defense system’s proximity to Russian borders undermines the global balance of power, promising reciprocal steps, including the deployment of Iskander missile systems to its western exclave, Kaliningrad.